Great War Wednesday: A Most Perfidous Weapon | "Granny Beads and Grocery Store Feet"
World War I was the proving ground for a great number of new weapon systems. Machine guns entered widespread usage. Artillery improved to the pinnacle of its deadliness. Submarines and airplanes made their debut on the big stage, and poison gas wasn’t just for use against tribal natives anymore. Oddly enough, however, one weapon which, along with the shovel, proved effective beyond belief was never meant to be a weapon at all. It was invented to fill a need on the plains of the United States – a need to limit the freedom of cattle. One doubts Mr. Lucien Smith pictured the tangled bloody moonscaped battlefields of the Western Front when he filed his patent in 1867 for his invention to make fencing in cattle cheaper and less labor intensive, but his brainchild will forever be linked with the hellish killing fields of No-Man’s-Land. Mr. Smith invented barbed wire. Barbed wire in essence is two or three strands of wire twisted around each other and at regular intervals, a one to four pointed barb is twisted into the strand creating a single wire with thousands of flesh shredding “barbs” pointing outward. Different patterns cropped up from time to time before the Great War, but mostly they were just variations on this basic theme. At first, the wire had to be twisted by hand and creation of enough for any use was a time consuming process. By the time of World War I, however, giant barbed wire conglomerates like Smith and Glidden Barbed Wire Company had developed machines which turned out thousands of feet of wire each hour. Barbed wire now existed in quantities to make it an efficient battle implement. The wire would have been effective if great coils of it were simply unstrung between the trenches and in places, this is exactly what happened. Like so much in this war of excess though, if a simple way was good, an overly involved way was much better. What developed was a series of x-shaped uprights spaced a few feet apart. Then, the engineers wove multiple coils of barbed wire over and around each post. The result was a waist or chest high hedge of shining steel that rusted within hours of exposure to the torrential dampness of Flanders. 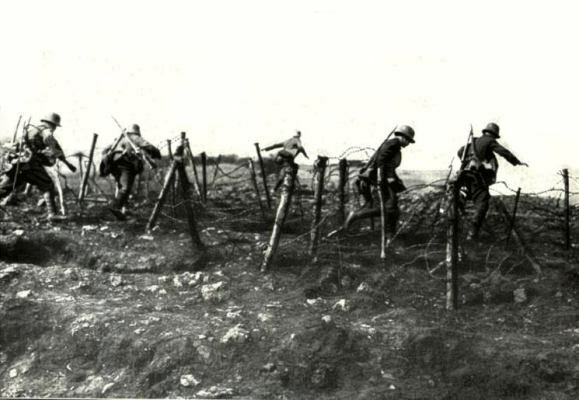 Barbed wire lay in solid hedges in multiple lines parallel to every trench on the Western Front. Soldiers on the attack would have to pass through those hedges if they had any hope of reaching their objectives. 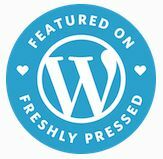 Now, as any of us from Gray Court could tell you, passing over, under, or through a simple five strand “bob wire fence” could be difficult under simple, peaceful circumstances. Inevitably, crawling under would get your pants caught but climbing over risked the staples pulling out of the posts and dropping you across the bottom four strands in quick succession. In modern times, a mishap like that translated into a visit to the ER for a tetanus shot and some stitches; during the Great War, in a time before tetanus shots or even simple antibiotics existed, scratches from this rusty obstacle could mean an agonizing death as any opening in a soldier’s skin welcomed vast quantities of dirt and other filth into his bloodstream. So soldiers faced an obstacle impossible to maintain a walking pace through which they needed to sprint across in order to avoid machine gun fire, sniper bullets, and bursting shells. It was a thorny problem both sides in the war faced. They would both employ several methods to attempt to overcome the barbed barriers. One of the most straightforward was a thick pair of leather gloves and a hefty set of wire cutters. Unfortunately, commanders found out early on that the man with the gloves and cutters wasn’t given a sunny reception by the other side if they observed him while bent to his task. As a result, most wire cutting missions took place in darkness. Unfortunately, cutting gaps into the wire often caused more problems than it solved. Since the gaps were the safest places to pass without getting shredded, great congregations of soldiers gravitated towards the gaps. Before they had gotten to the second line of wire, however, the machine gunners on the other side would note where the gaps created bottlenecks and adjusted their withering fire accordingly. In this way, the final state of the soldiers was worse than the first. Before long, bright men in the high commands decided artillery was the most efficient way to clear the attack corridors of wire. Seems like a good plan, but the execution, like so many plans in this war, proved less than adequate. At first, they would try shrapnel shells to cut the wire. Shrapnel shells are essentially huge shotgun blasts of pellets which exploded and shot downward at the ground . . . very effective on personnel, but, as anyone who has ever tried to shoot a limp rope or wire in twain could have told the commanders, absolutely useless on wire. When thousands of casualties pointed to the ineffectiveness of shrapnel shells, the commanders switched to regular high explosive munitions. While enough of these projectiles would indeed cut the wire in many places, the sections would sail into the air to land atop one another willy-nilly fashion and instead of nice orderly rows of wire in predictable areas, no-man’s-land became a greater nightmare of shell craters lined with pointy, rusty steel. 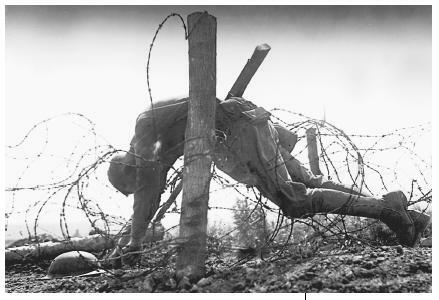 For three years, men were swallowed up by the walls of barbed wire. Finally, another invention making its debut in the Great War emerged and removed the terror of wire for all succeeding generations. 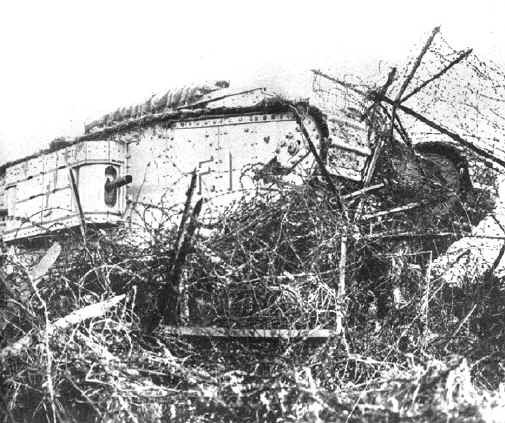 Barbed wire was doomed as an effective weapon as soon as the first Mark I “Matilda” tanks from Britain lumbered across the fields crushing the coils of wire beneath their treads on the fields of Cambrai.